One of the most important ongoing projects of the World Business Academy is the Montecito Community Microgrid, an energy system that would deliver local energy daily and power emergency facilities during outages caused by extreme weather events and system failures. A Community Microgrid is a new approach for designing and operating an electric grid based on local renewables and other distributed energy resources like energy storage and demand response. Although linked to the main electric grid, a Community Microgrid can isolate from the broader distribution grid during a power outage and provide indefinite renewables-driven backup power to core operations at critical facilities. Providing secure, stable and clean local energy, even during disasters of extended duration, Community Microgrids are economic, environmentally sound, and resilient. 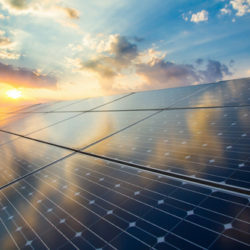 Santa Barbara, which regularly experiences power outages and is connected to compromised transmission lines capable of exposing southern Santa Barbara County to extended, catastrophic energy shortages, is an ideal location to develop a microgrid. To help community members learn more about this effort, we are hosting a free community meeting on Nov. 14 to share information about the Montecito Community Microgrid Initiative being developed in partnership with the Clean Coalition. We invite the public to attend and learn all about this project. Come and support something positive that will benefit our community! The meeting takes place from 5:30 to 7 p.m. on Wednesday, Nov. 14, at the Montecito Union School, 385 San Ysidro Road. Seating is limited, so please RSVP online at EventBrite.com or call us at (805) 892-4600. We hope to see you there! At this meeting, you will learn how the region’s local geography, while beautiful, also exposes residents to catastrophes that can only be solved through distributed energy systems such as microgrids. The meeting will include a discussion about the need to make the area’s local energy systems more resilient to preserve the local economy and standard of living; how the Montecito Community Microgrid first insulates critical institutions like the fire and water district headquarters, then expands to schools which serve as shelters and gathering areas during crises; how microgrid technology developed at area schools can prepare future generations to accelerate the transition to renewable energy; how adding solar plus storage to homes makes the microgrid stronger; and how the Montecito Community Microgrid can become a model for other communities to become more resilient in the face of climate change. Santa Barbara and Montecito are innovative, creative, resourceful and smart communities that are dedicated to the environment. The area is the ideal place to develop and deploy community-based renewable energy microgrid systems capable of collecting, storing, and distributing local renewable energy to benefit everyone. We hope you will make the time to attend the Nov. 14 meeting and join us in bringing resilient, reliable and renewable energy to our community.